The Tesla FUD Machine Is Unstoppable: How 'Bout A FUD Tracker? 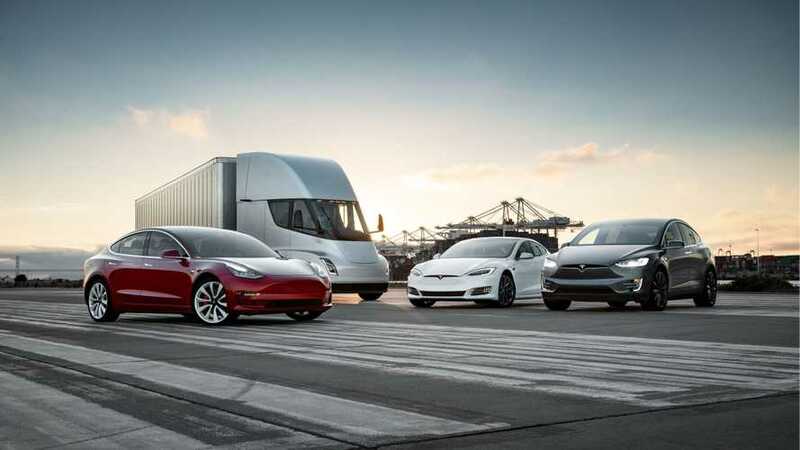 Tesla’s vehicles are the three top-selling EVs in the US market. Model S has been consistently outselling every competing large luxury sedan for years, and it appears as if Model 3 will similarly dominate the small sedan segment. The company continues merrily producing 5,000 Model 3s per week, and teardowns by two sets of auto industry experts (Munro & Associates and a group commissioned by German automakers) have concluded that the new EV should deliver a healthy profit margin. Most of this would probably be a surprise to those who get their news from the mainstream media (by which we mean media outlets that do not focus on the electric vehicle industry). These days, the prevailing image of Tesla in national newspapers and popular websites is of a company struggling for survival, led by a flamboyant and unstable celebrity billionaire. As Peter Forman (aka Papafox), writing in CleanTechnica, explains, this is a carefully crafted narrative, assembled from grains of truth, cherry-picked facts, speculation, innuendo and appeals to peoples’ existing prejudices. For the media outlets that create it, it’s calculated to produce the maximum possible number of clicks. For others working behind the scenes, it’s intended to move the TSLA stock price. It’s common knowledge that Elon Musk wants to Change the World. However, those who recently tuned in may be unaware that his master plan to transform the world’s transportation system consists of three phases: three vehicles, and three existentially risky “bet the company” situations, as Elon told the Times. The general public, ignorant of Tesla’s master plan, hears about million-dollar losses and assumes that the company is circling the drain. Forman believes that most short sellers must also be falling into this error, otherwise, they wouldn’t be betting so aggressively against the company. Barnard believes that the media Tesla-bashing is being turbocharged not only by short-selling interests, but by anti-electric car PR campaigns organized by supporters of the fossil fuel industries. Before you say “conspiracy theory” and stop reading, let’s point out that the enemies of Tesla fall into several different categories, and there’s no evidence that these groups are working together. However, it’s no secret that there are oil industry-funded groups (yes, including the sinister Koch brothers) working to delay the advent of EVs. A network of fossil fuel CEOs created an advocacy group called Fueling U.S. Forward in 2016. Two of the group’s leaders were Koch board member James Mahoney and fossil-fuel industry lobbyist Charlie Drevna. The group’s anti-EV efforts included targeted events in black evangelical communities (as reported in the New York Times) as well as faux news articles and YouTube videos. The organization’s disinformation campaign has been documented by Electrek, DeSmogBlog, and CleanTechnica. Fueling U.S. Forward shut down after a year or so, but the tide of oily FUD continues to flow through Koch-affiliated think tanks and political advocacy groups, including the Institute for Energy Research, the American Energy Alliance and Americans for Prosperity. While the FUD machine thrives in today’s media morass, it isn’t unstoppable. The click-chasing cynics at Business Insider, Seeking Alpha and CNBC are counterbalanced by more EV-friendly journalists at Charged, Electrek, CleanTechnica, InsideEVs, Teslarati, the Sierra Club and of course, your beloved EVANNEX blog. And when the metaphorical presses roll, The Media isn’t really biased against EVs or Tesla - it’s biased in favor of a good story, preferably one involving somebody’s downfall and destruction. If it bleeds, it leads. Later this year, if Tesla can achieve profitability, it may be the short sellers whose ruination provides the blood sport we can enjoy with our morning coffee.